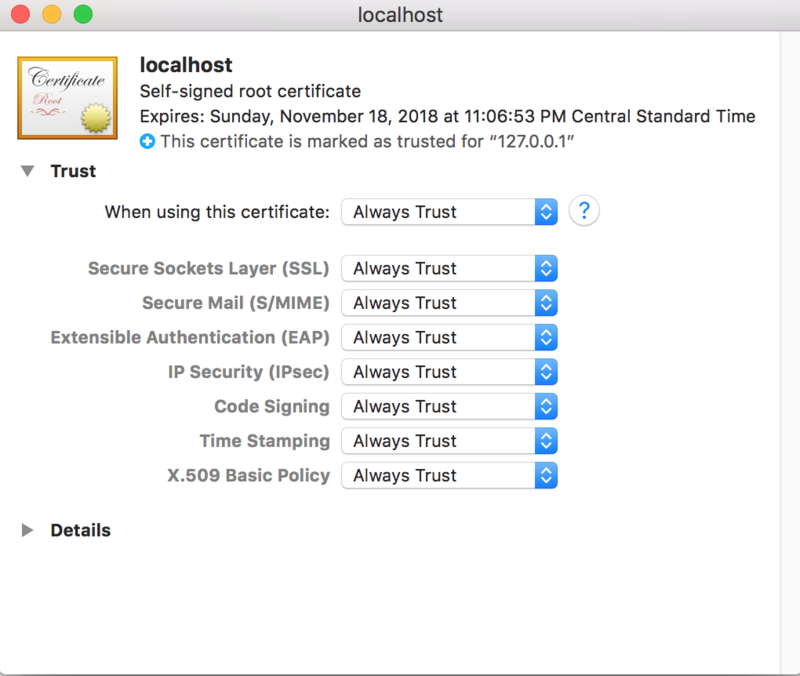 When working in Visual Studio, it’s relatively easy to run an app with a self-signed certificate on your local IIS. 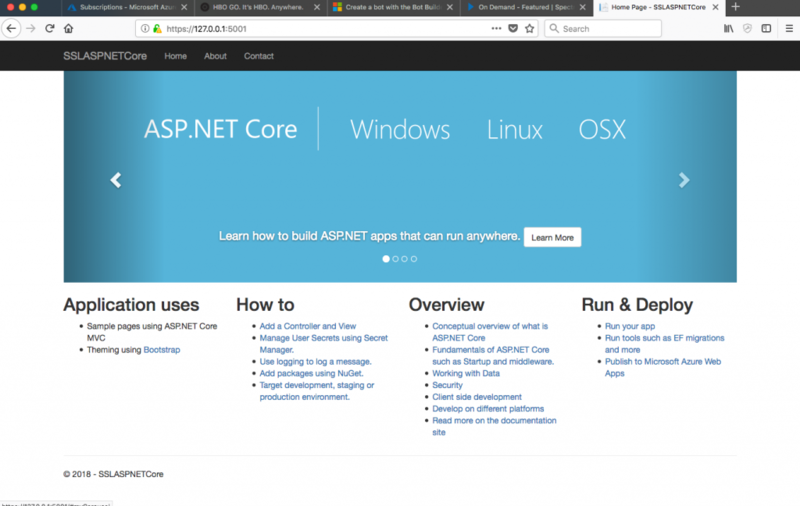 However, getting HTTPS working on a Mac with ASP.NET Core requires a few extra steps to get started. 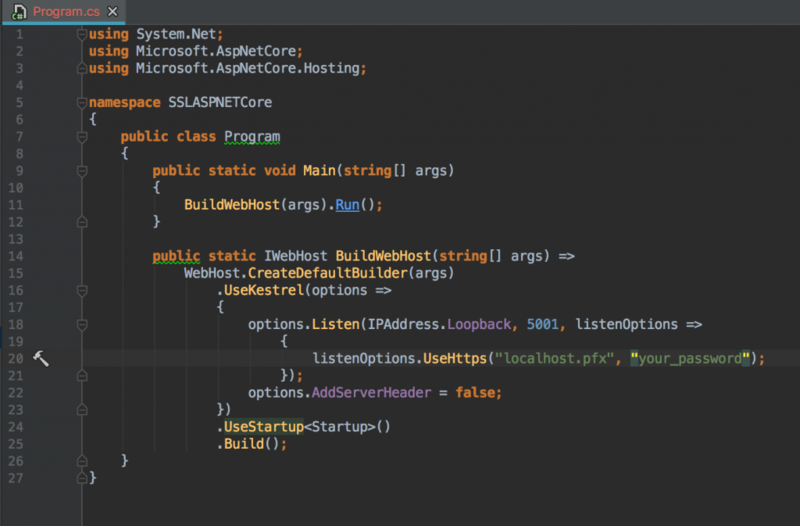 When building ASP.NET Core apps on the Mac, my IDE of choice is JetBrains Rider. 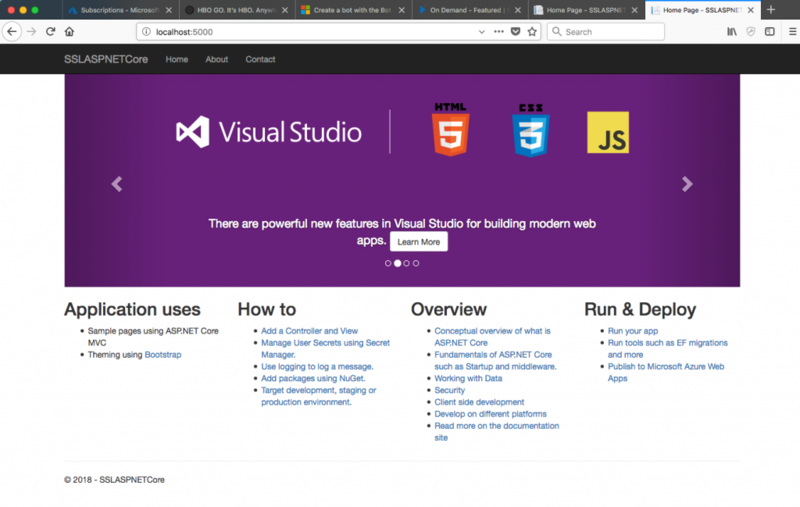 Create an ASP.NET Core project using JetBrains Rider and run it in the browser. Make a note of the password you used for the .pfx file because you’ll need that later. After you’ve completed these commands you should have a localhost.pfx file at the root of your project. Run the app and you’ll see your pages in SSL. If you find value in this post, please leave a comment below. Really thank you for this. This is working like a charm even if I clone it from a windows PC and launch it from Rider or VS2017. Just a question in mind. Do we have to use this configuration only on localhost for development ? When I will expose my solution I want to let the Ops team handle that. How can I specify this, do you have an idea ? This solution is only for local development. With the update to ASPNETCore, you no longer have to configure SSL yourself. It’s configured by default. Your ops team can handle SSL as they would any other web application.